Let’s start with this quick fact, which I find critical in understanding a future that may very well resemble yours. But what’s this got to do with you? As with most things in caregiving, urgent communication, action, and transparency is pretty much 50% of the battle my friends. It’s important to remain cool, calm, and collected. Even if you are upset and frustrated to no end because you are the one brother or sister who’s been bearing the brunt of your parent’s care, here’s what I have to say to you! You are doing it because it’s your Mom or Dad, and it’s the right thing to do! So drop the anger, self-pity, need for recognition, and the lonesome hero act. Stop asking for help, you don’t need them. They are in denial or not prioritizing the situation, and one day will regret not being part of the most selfless human act possible, taking care of the people who gave them everything. You only get one chance in life to repay back what your parents did for you, and YOU are doing it! Here’s another reason you don’t need them: You are a caregiving ninja! 1. You will go to your State website and find the National Family Caregivers Support program (FLORIDA), then you’ll contact the Alzheimer’s Association and find endless caregiving training, workshops and resources. 2. 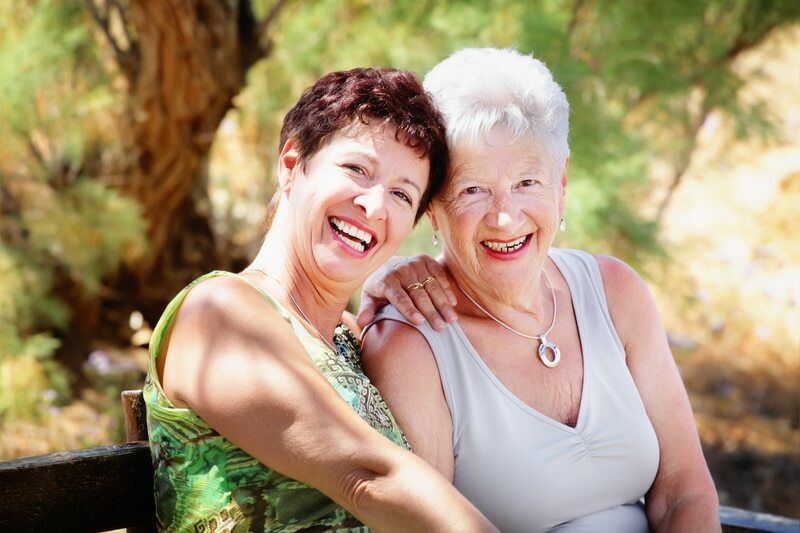 You will also contact your local senior help groups and get some respite through the Local Elder Companion volunteers and who knows you may even create your own local support group with other family caregivers not getting help from their siblings either! 3. You will go to this caregiving support resources post written by the head of all-time caregiving Super Ninjas, Maria de los Angeles, and read it to learn even more ways to surround yourself with the right people and build your caregiving team. You will find a way, you will get it done, and you’ll be a better person, son/daughter for it. Even with these excuses, keep trying, any little help is good for everyone. Open new lines of communication, get the family together in a light and easy going atmosphere and bring up the topic as natural conversation. In the end they will thank you for pushing hard and not giving up on getting them involved. No one said doing the right thing was going to be easy! Even then, you’ll know when to fight and when to let go. One thing’s for sure …you don’t need anyone’s permission to do the right thing! –Claudio Alegre is the Chief Content Writer for Angel Home Care Services on the Web and Patient and Family Relations Advocate off the Web. He lives in Miami with his wife and 3 boys. ATTENTION! Free Report Reveals Secret Formula For Getting Elder Care at Home …without going broke in the process! We find ways to help families get the personal care services at home they need and deserve regardless of the insurance landscape or personal situation! Call us With Your Questions or Concerns and Get Rid of All That Doubt and Uncertainty! Be aware of noise pollution when caring for the elderly. In my last post, I wrote about music as a beneficial form of therapy for the elderly who suffer from memory disorders, which begs the question: what about the sounds of everyday life? Alzheimer’s and dementia patients are particularly sensitive to stimuli that a healthy person can normally filter. In creating a safe and comfortable environment for my parents, I found myself thinking like a parent creating a healthy environment for her children: routines, which are so important for kids to feel stable, are just as important for the elderly. A typical day for my parents revolved around “quiet” time and “noisy” time. As caregivers, we shouldn’t take any of the five senses for granted when developing strategies for care — including hearing. Patients will react differently to auditory input and so we should be keenly aware of sound “hazards” in the patient’s surroundings. When I was caring for my mother, I noticed that some ordinary sounds – such as a loud TV — were particularly disturbing for her. She would grimace and want to retreat to what I can only describe as her “safe space” where she detached from the world. To help her, I avoided over-stimulation without completely dulling surrounding noises. Agitation and discomfort might otherwise have affected her cardiovascular health and emotional well-being. I knew my mother well and so I could gauge what I thought she would like or wouldn’t like based on how she reacted to the world before Alzheimer’s disease. Neurologists had no answer for me, but all I really needed to know was old-fashioned common sense. In short, just keep the patient comfortable. Sound is energy and vibration. While an Alzheimer’s patient may not be able to cognitively understand a sound — a spoken word may be interpreted as just that, a sound with no meaning — they may certainly be able to “feel” it, which explains the positive effects of music. Noise pollution isn’t just about unwanted sounds; it’s also about conversation. I would always ask our health aides to refrain from any conversation when standing within earshot of my father, who was then in the beginning stages of dementia and my mother, who had advanced Alzheimer’s. Imagine being surrounded by negative conservation or even a pleasant chat that your brain can’t process for context. Eventually, the meaningless “sound” may become jarring. You’re powerless to make it go away if you’re “stuck” in your body. It’s crucial, then, to watch one’s words when speaking in front of dementia patients who are still aware of surroundings. In my mother’s case, it was impossible to tell in the advanced stages of the disease if and how her brain could interpret sound. I erred on the side of caution: even in a state of stupor in which she was completely unresponsive, I encouraged everyone who came near her to keep unpleasant sounds and conversations at bay. While it may seem obvious that no patient or even a healthy individual would want to tolerate noise pollution, consider this: the elderly in many nursing homes who do not enjoy private rooms must endure an almost constant stream of distracting and unpleasant noises that interfere with peace and quiet: working staff, sick roommates and their visitors, loud television sets, beeping medical equipment and other sounds create a cacophony of noise. This situation is yet another reason to consider in-home healthcare alternatives for the elderly where caregivers can control the environment. In my experience, I simply tried to imagine how I would feel if I were sick and bewildered, not just for the sake of empathy, but also to gauge what would be an appropriate level of noise for my parents. If you found this post of interest and value, kindly click your favorite social button below and share. — Maria de los Angeles is an award-winning writer based in Miami who became a caregiver to her parents in 2008. Since then, she has been a passionate advocate for eldercare and caregiver issues. Caregiving seems overwhelming when you’re caught up in the daily routine. As we head into 2016, here are some thoughts on how to experience caregiving with a positive attitude. In 2015, I transitioned from a full-time caregiver back to a somewhat “normal” life with my dad now in a nursing home. Although caregiving was challenging, to say the least, it was a phase of my life I’ll never regret. As a caregiver to my elderly parents, I evolved spiritually and deepened the special bond between parent and child. My mother is no longer with us, but the love my parents and I shared — expressed in their care of me when I was a child and in my care of them when they became my “babies” — is one of the greatest gifts of my life. While I was caregiving, I was too caught up in the daily routine of constant worry to truly reflect on what was happening to me as an adult child caregiver. Now that I can look back, distancing myself from the constant, immediate medical needs of in-home care, I can see it as a beautiful part of the life cycle that no one should ever fear. It’s an honor to take care of your parents. Here are six positive thoughts to help you stay the course through the often arduous journey of being a parent to your parents. 1. Be a witness to your own actions. Every phone call to a doctor, every medical question, every diaper you change, every meal you prepare, every tear you might cry in frustration or sorrow, every little thing that fills up your day while caregiving — it’s not you postponing something else you could be doing — it’s you living life in the moment just as it should be. You’ll never have another chance to love your parents this way. They never gave up on you as a child. Don’t give up on them. 2. Don’t forget to breathe. Sometimes, that’s all you need and that’s all there is. Knowing this, accepting this is very liberating. Feeling desperate and fatigued, it was hard for me to just surrender and accept the circumstances during many hospital emergencies. “Not this again,” I’d tell myself. But it did happen. Again and again — and so what? Be in the moment when you’re caregiving. You’re stronger than you think. 3. Fear is an illusion. If you live in fear of so the many “what ifs?” of caregiving — will my parents be OK? will they fall? will they get the right medication? will they remember me? — and on and on, you’ll never truly enjoy caregiving. It may sound contradictory to think you can enjoy something so challenging, but that’s only because for most people, like myself, caregiving showed up like an unexpected pregnancy. Nobody gave parents a manual; nobody gave caregivers of the elderly a manual, either. Proceed with confidence, not doubt. Fear will hold you back and keep you from experiencing joy. Fear doesn’t help you or your beloved elderly parent. 4. The world isn’t ending. Although I’d do it all over again if I had to without an ounce of regret, I sometimes felt as if I was missing out on life. I thought life was passing me by but in reality, I couldn’t have been living life more to the fullest. Sure, this meant that my friends could go out and enjoy themselves more often than I could. There were many events and career opportunities that slipped by, jobs lost and relationships damaged. But that’s only because I didn’t see that it was my job, my duty and my honor to be a caregiver. Our society doesn’t always see caregiving as a natural life obligation. You certainly wouldn’t tell a parent that they’re missing out on life, because parenthood is life. So is caregiving. Caregivers don’t need pity. They need support and understanding. If you’re caregiving, own it and be proud, knowing that it’s just a phase in life. 6. Caregiving is spring-cleaning time. By putting the hold button on my personal and career life, I had a chance to focus on other aspects of my life that needed work. One of them was seriously evaluating all the toxic relationships in my life and moving forward. Think of caregiving time as a gift to work on any aspect of your life that may need to evolve. So, you see, my life really never was “on hold,” it only felt that way. My only duty was caregiving and so, in fact, I had the opportunity to reflect on who and what was actually in my best interest and in the service of a life filled with love and peace, not anger and resentment. Yes, while emotions run high during caregiving, it’s possible to see that as a blessing and a huge benefit. As I ring in the new year, I feel stronger in spirit and happier than ever. I encourage anyone who is caregiving to adopt a positive outlook on their important role in life. I often shrugged off positive thinking with an “easier said than done” attitude. As I’m coming out of caregiving, life has changed for better to “there’s no challenge I can’t face” attitude. Caregiving makes you stronger and give you the opportunity to be the kindest and most compassionate person you could be. In the end, it’s all about the love you share and that’s all that really matters. Support groups are invaluable for caregivers who feel overwhelmed by their responsibilities. Make them a priority in routine caregiver self-care. The number one rule of caregiving is take care of yourself first. This rule is easy to overlook when we’re caught up in the daily routine of caregiving. The elderly, like children, often require constant attention and at the end of the day, it’s easy to overlook one’s own needs. As a caregiver to my dearly departed mother and my father, who is still alive, I learned the hard way about the rule, which I would prefer to a call a survival strategy. The drive to care for a loved one eclipses the instinct for self-preservation in a counterproductive, vicious cycle: you can’t take good care of others if your own health isn’t optimal. While I don’t regret a minute spent caring for my parents, I can look back now and share what I would have done differently to alleviate caregiver burnout. For one, I would have benefited from being part of a support group; however, it never even dawned on me that one would be available to the estimated 43.5 million number of adult family caregivers who care for someone 50 years of age or older. (Source: Alzheimer’s Association via Caregiver.org). I was too busy to even think about adding another task to my plate. The last thing I wanted to do during my time off from caregiving was to talk about caregiving. But I think it’s really important to talk as much as you can with people who are also experiencing the challenges of being a caregiver, which in my case, was being a single mom to my parents — a mother with Alzheimer’s, a father with dementia. I was not alone! According to the Alzheimer’s Association, 14.9 family caregivers care for someone who has Alzheimer’s disease or other dementia. (Source: Alzheimer’s Association via Caregiver.org). Because we couldn’t always afford a sitter, the number of event invitations I declined kept climbing, which left me disconnected from my social network. My friends were sympathetic, but I couldn’t blame them if they got tired of hearing the same old story; I was the only one in my circle of friends caring for elderly parents. Their lives were flowing. Mine was at a standstill. Even if I had hired services from companies such as Angel Home Care Services, I still would have found solace in making new friends facing similar challenges in their social and professional lives. My sense of isolation and loneliness would have been mitigated had I reached out to support groups. Luckily, earlier this year, I found a local Miami bereavement support group through Jewish Community Services, which provides numerous services to the community at large, regardless of religious affiliation. Although I attend this group to honor the memory of my mother, it has helped me tremendously in what I call the “pre-grieving” stage for my father. Having experienced the death of a beloved parent is one thing; knowing that the death of the other parent is imminent is wholly another. I know now that it would have made a world of difference to make “me time” and gather with other caregivers. At the group, there is no judgment. Some members are still grieving family or friends who passed years ago. For others, the pain is fresh. Some have lost children, while others have lost spouses. Like me, many have been caregivers. Two facilitators lead the group, but we are all co-creators in the talk. I’m glad that I found this group, which meets twice a month. Although I can’t turn back the clock for how I dealt with the stresses of caregiving while my mother was still alive, it’s helping me tremendously now that I still advocate for my father. It’s time well spent and a respite I look forward to every month. It’s not too late for me to reap the benefits of a support group. The sense of friendship in the group and the patience with which we all listen to each other brings me peace and comfort. I feel relaxed — the perfect antidote from burnout. If you’re caregiving for a parent, I strongly encourage you to seek out a support group in your area. If you’re not able to attend one in person, there are online resources. I’ll share more about available resources in a follow-up post. In the meantime, don’t forget to take of yourself. Are you in need of a home health aide for your elderly parents or a loved one, and you don’t know how to go about it? How do you make sure this person or company are legit and not someone with a questionable background? How do you supervise or even rate the care you are getting? How much should you pay for care? Will your insurance cover it? Not knowing the specific answers to these questions can definitely be a source of stress and fear, especially if you need to act quickly. But no one with these kinds of needs should be afraid to ask or be ignorant about where to find the answers. At the end of the day you want the same things we all want as far as caring for a loved one -To ensure that they are in safe and capable hands! One more thing! …If you feel alone and isolated, you are not! Roughly half of the United States population has at least one chronic condition, according to the CDC (Centers for Disease Control and Prevention). Adults ages 65 and older, 75 percent of whom have chronic conditions, are expected to make up 19 percent of the population by 2030, compared with 12 percent in 2000. That means you are not the only family member asking those very same questions and experiencing similar fears and concerns about hiring a home health aide or caregiver. What are your recruitment process and your hiring requirements for home health aides? Are your home health aides insured and bonded through the agency? How do you assess their skills? How often do you perform supervision visits? In the event the home health aide is unable to perform how quickly can you substitute the help? If I’m dissatisfied with the home health aide can I request a replacement “without cause”? Are your home health aides up to date with their CEUs (continuing education units)? Do you hire experienced health aides or newly graduated ones? Do you consult with families regarding available community programs that provide personal care and health aide? What other services in addition to home health aide do you provide for families? In the meantime grab our FREE Long Term Care Report – An elderly care guide for the times we live in! …and learn how to create a personalized Long Term Care custom plan. Claudio Alegre is the Chief Content Writer for Angel Home Care Services on the Web and Patient and Family Relations Advocate off the Web. He lives in Miami with his wife and 3 boys.